The 9th in so holding finds the policy of shackling all pretrial defendants in Cal S to be unconstitutional. However, because the policy challenged, and deemed worthy of mandamus, is not presently in effect, a formal writ of mandamus is not issued. The opinion, written with verve, traces the history of shackling, the presumption of innocence, the concerns of the Supreme Court expressed in Dreck v. Missouri, 544 U.S. 622 (2005) and progeny. The 9th, at the outset, deals with the mootness issue (repetitious actions evading review) and mandamus. Schroeder, concurring, fully joins in the majority opinion. She pens separately to emphasize, along with her disagreement with the dissent's interpretation of common law and Supreme Court precedent, to observe that the dissent "unfortunately lacks sensitivity" in two aspects. First, in terms of the dignity of court proceedings, the dissent "ignores the degradation of human beings" who appear without having been convicted or even formally charge. Second, the dissent "lacks sensitivity" to the proper role of judges as opposed to the Marshals in determining how a court should be run. "Our court today correctly upholds the proper role of the judges, as opposed to the jailors, in the courtroom." (34). The dissent argues that this case is moot and there was no exception to the mootness doctrine. Further, the appeal is not worthy of mandamus. Lastly, the dissent accuses the majority of fashioning a new rule of criminal procedure, misconstruing Supreme Court precedent, creating a circuit split with the 2d and 11th Circuits, and putting trial courts at risk. Congrats to Reuben Cahn, Shereen Charlick, Ellis Johnston, and really all the staff of the Federal Defenders of San Diego. US v. Twenty-nine Palm Band of Mission Indians, No. 15-50419 (5-30-17)(Bybee w/Graber & Christen). This is a restitution case. The issue is whether the crime victim -- here an Indian tribe -- can appeal a restitution order under the Mandatory Victims Restitution Act (MVRA). The 9th gives the tribe standing, but then rules that the Act does not confer a right to appeal. In so ruling, the 9th joins the 1st, 3d, 5th, 8th, and 10th circuits. The 9th also concludes that due process does not confer a right. A victim who disagrees with the court's decision can have the government appeal, or seek mandamus. The opinion provides a good overview of the three primary acts that govern restitution in criminal cases in federal courts: the Victim and Witness Protection Act of 1982 (VWPA), the MVRA of 1996, and the Crime Victims' Rights Act (CVRA). The opinion traces the history, the rights conferred, and the procedure to be followed. Essentially, the right to restitution is made mandatory, and the procedure as set forth in VWPA, with some tweaks, is followed. A non-cap habe raises execution issues, in a Section 2241 opinion. Davies v. Benov, 2017 WL 2125897(9th Cir. May 17, 2017), decision available here. Players: Decision by Judge Gould, joined by Judges Wardlaw and Callahan. Facts: Davies owned medical marijuana dispensaries in California, which he contended complies with state law. Id. at *1. He was charged federally in the ED Cal, and plead guilty to a five year term. Id. The plea agreement had a waiver provision that read, “Regardless of the sentence he receives, the defendant also gives up any right he may have to bring a postappeal attack on his conviction or his sentence. He specifically agrees not to file a motion under 28 U.S.C. § 2255 or § 2241 attacking his conviction or sentence.” Id. A year into Davies’ term, Congress passed an appropriation rider. 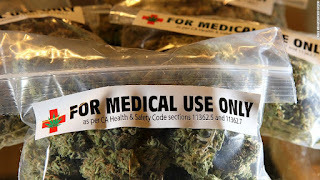 That rider prohibited the use of federal funds to prosecute offenses otherwise legal under state medical marijuana laws. Id. at *2. Davies filed a Section 2241 habeas petition, arguing that BOP’s use of federal funds to incarcerate him violated this appropriations rider. Id. The magistrate judge denied the petition, holding that the plea agreement waiver barred the challenge. Id. Issue(s): “The sole question presented here is whether the plea agreement’s waiver provision clearly bars Davies from bringing his § 2241 petition, which challenges his continued incarceration based on the appropriations rider. “ Id. at *2. Of Note: Davies made an interesting, albeit unsuccessful, argument. The waiver language in this plea agreement prohibited an appeal of “any aspect of the sentence imposed in this case.” Id. at *3 (emphasis added). By contrast, the collateral-attack waiver provision did not have that “any aspect of his sentence” clause. Id. Davies argued that the collateral-attack waiver was less broad than the appellate waiver. It’s an – appealing – argument, given the old contra proferentem rule we learned in law school (a rule acknowledged by Judge Gould, who concedes that because the government drafted the agreement, “ambiguities are construed in favor of the defendant.” Id. at *2 (citing United States v. Charles, 581 F.3d 927, 931 (9th Cir. 2009). Unfortunately, the Ninth holds the waiver language is not ambiguous: “Despite differences in the language of the direct-appeal and collateral-attack waiver provisions, the collateral attack waiver provision states the scope of the waiver: Davies gives up any right to bring a post-appeal attack on his conviction or sentence. The scope of the collateral-attack waiver provision clearly covers his present challenge. Limitations on any right to attack his sentence encompasses challenges to the execution and conditions of his sentence, as his challenge is styled here, as well as to the legality of his sentence.” Id. at *3. 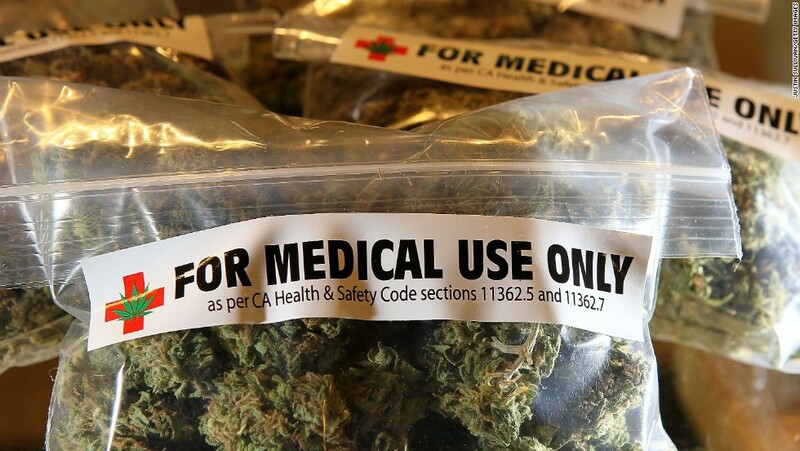 How to Use: What about inmates serving federal prison sentences for (medical) marijuana offenses, who pleaded open, or who were convicted after trial? Unlike Davies, they are unencumbered by these collateral-attack waivers. Judge Gould expressly reserves the question if the BOP can use federal funds to incarcerate these folks: “we need not reach and save for another day the issue of whether the expenditure of federal funds to incarcerate individuals who fully complied with state medical marijuana laws violates the appropriations rider.” Id. at *3. Would make for an interesting § 2241 petition, for these inmates in federal prison. For Further Reading: With any luck, Johnson warriors will be freeing another tranche of over-serving petitioners after a Dimaya victory next Tuesday. SCOTUS’s next opinion drop is May 30 at 9:30 EDT: opinions will be live-blogged here. Remarkably, exculpatory statements were somehow omitted in an FBI 302 (and the agent’s rough notes were never disclosed). Happily, the government now gets a second bite at the Brady apple. United States v. Liew, 2017 WL 1753269 (9th Cir. May 5, 2017), decision available here. Players: Decision by Judge Owens, joined by Judges Schroeder and Wardlaw. Nice Brady win for ND Cal stalwart Dennis Riordan in this NorCal case. 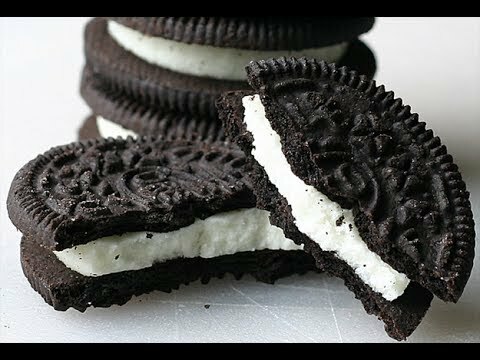 Facts: DuPont perfected a lucrative and (it claimed) secret process to create a type of pigment used in everything from paint to the filling of Oreo cookies. Id. at *2. Walter Liew worked with Chinese representatives to start a pigment plant there. Id. at *3. Liew hired a former DuPoint employee, “Spitler,” as a consultant. Id. at *3. Liew and Spitler spoke, and in a note documenting their conversation they worried the plant might fail, “even with the best technology and stolen prints.” Id. at *4. Liew, however, later claimed Spitler told him that, as far as DuPont was concerned, “[a]fter 5 years, you are a free man.” Id. After learning of the planned Chinese pigment plant, DuPoint sued Liew in federal court. Id. In his civil answer, Liew stated he and his company never “’wrongfully obtained or possess[ed] any’ DuPoint trade secrets.” Id. at *5. Liew was later indicted, and charged with obstruction (for his answer in the civil suit), and with economic espionage charges. Id. at *5. Spitler struck an apparent cooperation deal with the government, then committed suicide. Id. at *6. Before trial, the government produced a FBI 302 of Spitler’s meetings with the prosecution team. [Ed. note: not in the opinion, but reported in district court briefing, is the fact that Spitler met with FBI Special Agent Kevin Phelan, and others on the prosecution team, six times.] The government did not produce the Special Agent’s rough notes of the Spitler interviews. Id. Liew was convicted at trial. The defense then produced a declaration from Spitler’s attorney. Id. at *7. Spitler’s attorney reported Spitler’s exculpatory statements omitted from the FBI 302, including his denial that he was involved in a criminal conspiracy. Spitler had also revealed to the government that, after his retirement, DuPont had shipped him a box of documents that Spitler sold to Liew. Because DuPont had voluntarily relinquished those documents, Spitler explained in interviews with the government that he considered them valueless. Id. at *7. The defense moved for disclosure of the rough notes of the Spitler interviews. That motion was summarily denied. Id. Issue(s): “Liew argues that the district court erred by not requiring the prosecution to disclose the rough notes of the FBI’s interviews with deceased co-conspirator Tim Spitler.” Id. at *15. Held: “While mere speculation about materials in the government’s files does not require a court to make the materials available for defense inspection . . . Liew had more than mere speculation -- he had the declaration of Spitler’s attorney . . . . In light of this declaration, defendants carried their initial burden of producing some evidence to support an inference that the government possessed or knew about material favorable to the defense and failed to disclose it. . . . Although the errors and inconsistencies in the declaration provided by [Spitler’s attorney] cast some doubt on the declaration’s reliability, defendants’ burden was a low one, and the declaration sufficed to support an inference that the rough notes contained favorable material. Because the prosecution did not disclose the rough notes, it did not meet its burden of demonstrating that it satisfied its duty to disclose all favorable evidence known to it. Furthermore, if the rough notes referenced the statements that [Spitler’s attorney] averred Spitler made during the interviews, that material could be sufficient to undermine confidence in the verdict. . . . .
[W]e vacate the district court’s order denying defendants’ request for production of the rough notes and remand to the district court for in camera review of the material to determine whether disclosure of the notes might have affected the outcome of the trial.” Id. at *15 (internal citations and quotations omitted). Of Note: Does your civil client deny wrongdoing when answering in federal court? Be careful: the ND Cal USAO may later indict them for obstruction of justice. Judge Owens, thankfully, comes out the right way on this troubling charging stretch, id. at *14, but Liew’s discussion on civil responses and obstruction of justice should be a required read for civil counsel. How to Use: Is the standard of review for this claim the deferential “abuse of discretion” standard, or the less demanding de novo standard? In an interesting note, Judge Owens explains that – here, in the context of a new trial motion - it is de novo. See id. at *8 n.6. A welcome footnote worth saving for appellate folks. For Further Reading: (Former) AUSA Kathryn Haun is one potential candidate for the next United States Attorney for the Northern District of California. See article here. Ms. Haun just gave a candid and revealing interview, defending Attorney General Sessions’ new policy on mandatory minimums. See KQED link here.